Launched in 2016, Codeta Casino operates under the management of EveryMatrix Limited and bears the seal of approval of two of the strictest regulators in the online gambling industry – the UK Gambling Commission and the Malta Gaming Authority. Another license has been granted by the government of Curacao. While most modern gambling operators focus on providing slots, Codeta poses as a fresh alternative for gamblers as it emphasises on table and live-casino games. The operator utilises software by Evolution Gaming and NetEnt. The selection of live games ranges from blackjack and roulette to baccarat and casino poker. Popular variations hosted by professional dealers include Immersive Roulette, Double Ball Roulette, Roulette Dragonara, Blackjack Grand, Baccarat Squeeze, and Ultimate Texas Hold’em. There are tables with standard and high limits to the benefit of gambling enthusiasts from all walks of life. 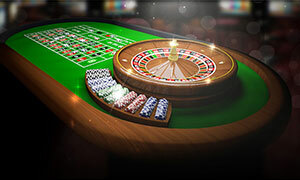 Apart from the great diversity of live products, the website features a virtual-casino section with games running on Random Number Generators. There you can find a broad range of slots, video poker, and classics like Double Exposure, Sic Bo, Caribbean Stud, and Craps. If you are looking for something out of the ordinary, you can opt for playing Solitaire, Backgammon, Yatzy, Keno or Dice Duel. The majority of the slots are developed by Microgaming, NetEnt, IGT, and Play’n GO. Registered customers can pocket a hefty prize on some of the progressive slots, with Mega Fortune, Hall of Gods, and Mega Moolah enjoying the greatest popularity among players. The portfolio is available in instant-play format but mobile play on devices based on iOS and Android is also supported. Codeta Casino accepts a variety of reliable and convenient methods of payment, such as Neteller, Skrill, Trustly, MasterCard, Visa, and Paysafecard. The website features handy tutorials on how to play the table games but if you still struggle with understanding the rules, you can receive a quick and friendly assistance via the dedicated live-chat facility. Do not worry even if you are not fluent in English – the website can be loaded in several other languages, including German and Swedish. You can start your gambling adventure at Codeta with a lucrative 100% Welcome Bonus of up to £300. 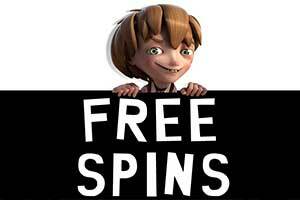 Existing account holders are treated to free spins and rebates on their losses. A great VIP programme is also available. Online Since Codeta Casino went online in 2016 and is operated by EveryMatrix Limited. Minimum Deposit/Withdrawal The minimum deposit amount at Codeta is £10. The minimum withdrawal amount stands at £20. 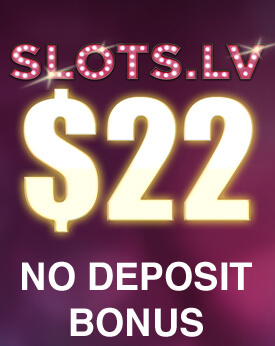 No-Deposit Bonus Presently, there are no active No-Deposit Bonuses at Codeta Casino. Welcome Bonus New players of legal gambling age can receive a 100% Welcome Bonus up to £300 on their first deposits of £10 or more. 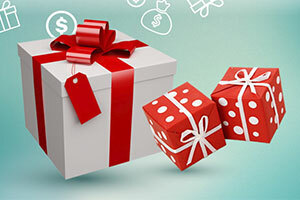 The wagering requirements for the offer are 35x its amount and must be met 30 days after the bonus’ activation. New members can also opt in for the 10% Top-Up/Cashback Bonus where they receive 10% back on their net losses or 10% extra on their winnings. The qualifying deposit is £10 or more. 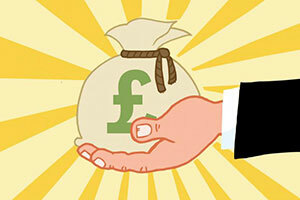 The minimum and maximum payouts with this bonus are £5 and £3,000. Wagering requirements of 1x the bonus apply. The bonus is valid 7 days after redemption. Deposits via Neteller and Skrill are excluded from both offers. Regular Bonuses Existing members are offered 15% cashbacks for the live games on Mondays. 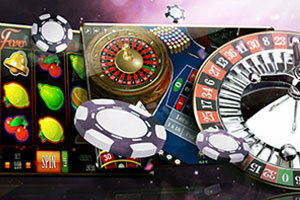 Those who deposit £10 on Fridays receive 20 free spins on the slot that qualifies for the day. 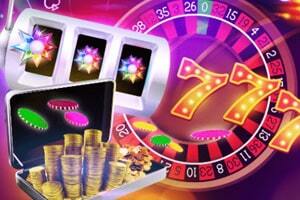 The free spins come with wagering requirements of 45x which must be met 7 days after redemption. Loyalty Programme Each month the most active customers are invited to join a VIP programme where they can enjoy various perks, including faster withdrawals, personalised payment methods, personal account managers, and unique promotional offers. Software The live games at Codera run on software by Evolution Gaming and NetEnt. The RNG-based games are provided by IGT, Microgaming, NetEnt, and Play’n GO. Popular Jackpots The games with the biggest progressive jackpots at Codeta are Hall of Gods, Mega Moolah, Divine Fortune, Mega Fortune, Cosmic Fortune, Jackpot 6000, and Caribbean Stud Poker. Game Types Codeta offers a wide range of live games, including bacarat, blackjack, roulette, and poker. Customers can also try a diverse selection of video slots, video poker, dice games like craps and Sic Bo, and arcades. Mobile Casino Codeta runs a flash-based mobile casino, which works on smartphones and tablets, based on iOS and Android. Deposit Methods Customers can boost their casino balance via Visa, MasterCard, Skrill, Neteller, Paysafecard, Zimpler, and Trustly. Currencies Players can deposit and withdraw in EUR, CAD, AUD, GBP, NOK, SEK, and USD. Languages The website and the support service are available in English, German, Swedish, Norwegian, and Finnish. Support Customer support is offered 365 days per year via live chat and email at support@codeta.com. Licenses The casino is licesed and regulated by the authrorities in Curacao, the UK Gambling Commission, and the Malta Gaming Authority. You should not miss the wonderful opportunity to open an account at Codeta. This way you will be able to enjoy a gripping and fruitful gambling adventure in the comfort of your own home. This online casino knows how to please every type of players and offer an abundance of exciting and rewarding games. No matter what your preferences are, you are guaranteed to find the best and most popular titles at Codeta. The reason why the gaming options at this online casino are of such high quality is the fact that some of the best software developers in the iGaming industry power the games at Codeta. In the gaming library of this web-based casino, you will find titles powered by Microgaming, NetEnt, IGT, Play’n Go and Evolution Gaming. Members of the casino have the opportunity to instantly load and play the games at Codeta. 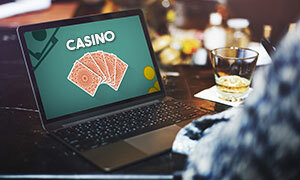 This will save them the trouble of installing additional software and it will allow them to enjoy their online gambling as soon as they log into their gaming account. You can easily find the game you are looking for by sorting titles by their category and the software supplier that has provided them. Who does not enjoy the sound of spinning reels and the chance of sweeping major wins? Slot machines have been a source of entertainment for years at land-based casinos and plenty of gambling enthusiasts enjoy the game due to its simple but fun nature. If you also are a fan of slots you can join Codeta and play numerous exciting and rewarding variations of the game. 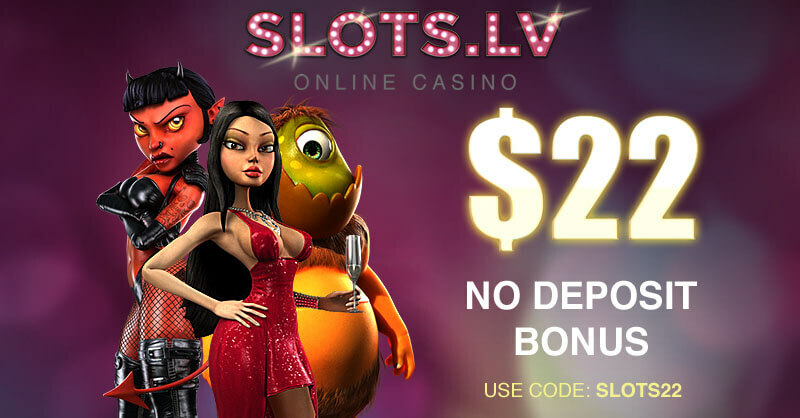 Provided by some of the leaders in the virtual gaming industry, the slots of this online casino can entice any player and possibly award some pretty good payouts. If you are looking for a thrilling spinning adventure, you should head to the section with video slots. There, you will see a list of numerous titles that have intriguing themes, additional features like special symbols and bonus rounds, as well as multiple paylines. In this category, you will be able to see which are the most popular and the newest video slots. You can test your luck on games such as Lost Relics, Rich Wilde and the Book of Dead, Dead or Alive, Warlords: Crystals of Power and many other fan-favourites. Having access to an abundance of video slots certainly does not mean that Codeta patrons will not be able to play classic slots as well. Players who enjoy the traditional spinning adventures can find several titles, inspired by standard slot machines. The games that fall under this category include 3-reel slots with a single payline which can still award pretty generous payouts. Among the classic slots of Codeta, you will find Jackpot Express, Joker Jester, Jackpot Jester and other fun titles. If you are a true casino enthusiast, you will definitely know that roulette is the table game that has numerous fans across the world. This is why it is no surprise that patrons of Codeta will have the chance to explore a handful of roulette options. To make the choice of players easier, the web-based casino enables them to filter the titles in the gaming library and sort them in accordance with the software company that has provided them, their betting limits and whether they are live-dealer or animated versions. The games of Codeta include several variations of European and French roulette which are favourite to many players due to the fact that their house edge is lower and there are only 37 possibilities for where the roulette ball may land. For those who are excited to explore the variations available at Codeta, there are numerous roulette tables that allow different betting limits. This way players who make lower stakes, as well as high-rollers, can pick a game that will fit their bankroll. If you want to add a little excitement to your roulette adventures, you can try some of the more innovative variations Codeta has prepared for its patrons. Double Ball Roulette and Multi Wheel Roulette Gold are definitely games that can make your experience more amusing and rewarding. Fans of the game of 21 will be very pleased with the options they will be presented as soon as they log into their Codeta account. 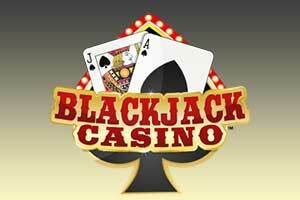 The blackjack versions available at the online casino are capable of providing an entertaining and lucrative experience to different types of gamblers. Due to the classy design and advanced betting options that players are presented with, the gambling experience they will enjoy will be of a top level of excellence. The blackjack opportunities that are being presented to every Codeta patron are amazing and can suit the preferences and taste of both players who enjoy making high stakes and those who prefer to make safer bets. Single and multi-hand blackjack versions allow gambling enthusiast to pick the blackjack table they find more suitable. Atlantic City Blackjack Gold, Blackjack Classic, European Blackjack and Vegas Downtown Blackjack Gold are titles that are inspired by the game played in major brick-and-mortar casinos all around the world. If you want to play a different version of the game of 21, you can try Double Exposure Blackjack, Red Queen Blackjack, Blackjack Bonus, Blackjack Players Choice or some of the other wonderful options this web-based casino is offering. It is always fascinating to play video poker, especially if you are doing it at Codeta. This way you will be able to make your gambling experience very exciting and rewarding even if you are still at your home. Many players enjoy the mixture of pure luck and standard poker skills and the wonderful advantage of playing at this interactive casino is the fact that you will have plenty of options to try the best video poker strategy. If you join Codeta, you will have numerous games to choose from. This will allow you to pick the version with the best odds and most rewarding payouts. If you are excited to start your video poker adventures at this online casino, you will be more than pleased to see that you can choose between Deuce Wild, All American, Jacks or Better and Aces and Faces variations. If you want to improve your chances of landing a winning combination, you can always try the multiple-hand video poker variations Codata is offering. 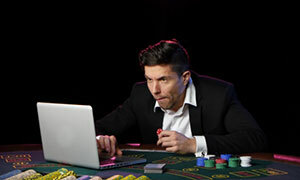 Members of the web-based casino can try All American versions with 5, 10, 25, 50 and 100 hands as well as Jacks or Better with 5, 10, 50 or 100 hands. When you are looking for a way to make your casino adventures more exciting, you can simply try one of the jackpot games Codeta is offering. Thanks to this genre of casino games, you can enjoy an impressive payout in return for a very small bet. Since most of the progressive jackpots are offered on various slots, you can simply head to the section with slot games and load the list with options that reward jackpot prizes. This way, you will see some of the hottest progressive games at the moment such as Mega Moolah, Mega Fortune and Arabian Nights. This, however, is not the only category that offers jackpot titles. Players who enjoy playing Live Caribbean Stud Poker will also have the chance to make a side bet and win an impressive jackpot. You should remember that in order to qualify for receiving a progressive jackpot, you must place a maximum bet. This is quite risky and if your bankroll does not allow it, you might want to refrain from playing jackpot games. This being said, if you feel like luck is on your side, you should definitely give a few tries to the jackpot titles Codeta has in store. If you are looking for new ways to enjoy as authentic gambling experience online as possible, you should give the Live Casino games of Codeta a try. If you are missing the interactions with real dealers while you play online, you can now transfer the classy and fun experience of land-based casinos in your own home. Codeta has prepared an abundance of live table games for its members and everyone can enjoy the perks of placing real-money bets and try to beat a real dealer. 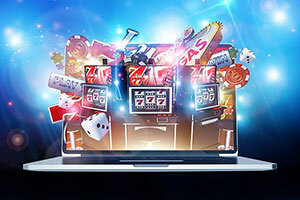 Major software providers like Evolutions Gaming and NetEnt have made sure that the patrons of this interactive casino will be able to enjoy a high-class rewarding gambling. The best perk of joining the Live Casino of Codeta is the fact that you will be presented with various live-streamed tables that have different betting limits. This way casino enthusiasts who want to feel like real VIPs can join live-dealer tables with higher stake limits. To make your experience as exciting as possible, Codeta is also offering Live Casino games such as Lightning Roulette, Immersive Roulette, Auto Roulette, Dream Catcher, Salon Prive Blackjack, Baccarat Controlled Squeeze and many other fun titles. What are the benefits of joining Codeta’s VIP programme? Loyal customers at Codeta who join the VIP programme receive priority treatment in the form of various perks like personal account managers, bespoke promotional campaigns and bonuses, and quicker withdrawals. Customers are not automatically enrolled in the programme, however. Registered players at Codeta are evaluated each month, including customers who already have attained VIP status. A new list with VIP members is created on a monthly basis but if you do not feel like waiting and want to join sooner, you can contact the casino’s support team and request a VIP invitation sooner. How can I be sure the Live Dealer games are fair? Players who register at Codeta are immune to cheating while participating in the live games since they run on software approved by independent experts. The said software reads each card as it is dealt and the same goes for the results of the coups at the roulette tables. The software undergoes regular audits to ensure everything is in order and is working properly at all times. In addition, there are surveillance cameras in the live studios and a casino manager is always on standby to oversee the games. All live dealers have received a professional training. Do I need to install additional software to play the games? No, both the virtual casino and the Live Dealer games at Codeta utilize the flash format and can be loaded directly in your internet browser. Before you start betting, it would be a good idea to ensure you have the latest version of the Adobe Flash plug-in. Updating your internet browser is also recommended. Codeta supports gaming on the go. Its website can be loaded in the browsers of smartphones and tablets, running on iOS and Android.